Cockatiels are part of the cockatoo family and are known for their warm and outgoing personalities -- and their whistling -- especially the male cockatiels. All these attributes make these birds a favorite American pet. The feathers on top of the bird's head are a sure-fire indicator of its mood. Cockatiels are small birds of gray, white, and yellow, with the female bird's coloring more subdued. They can live to be 20 years old. To ensure the good health of breeding cockatiels and their babies, a male and female pair should be unrelated, free of disease and birth defects, and between 2 and 5 years old. A cage for a pair of breeding cockatiels should be a minimum size of 20 x 20 x 50 inches and should contain a nest box that is at least 12 x 12 inches. Proper nesting material, such as shredded paper, pine shavings, and molted feathers, should be provided. 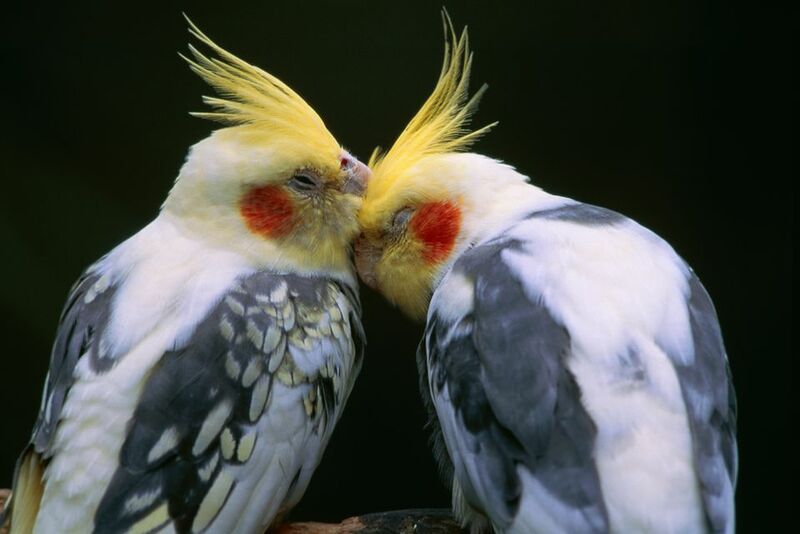 Cockatiels are hookbills and should be fed a varied diet consisting of seed, high-quality pellets, and plenty of fresh fruits and vegetables. Breeding pairs should be treated with a calcium supplement to ensure proper egg development and to help the hen recoup nutrients lost in the egg-making process. Female cockatiels lay their eggs within three weeks of mating. Like many other types of birds, it's not uncommon for cockatiels to lay one egg every other day until they have all been laid. There are usually between four and six eggs in each clutch. On average, cockatiels incubate their eggs for about 20 days. This can vary by a couple of days in either direction and is usually no cause for concern. If cockatiel babies are to be hand-fed, many breeders let the parents raise the chicks until they are about 2 weeks old. The breeders then "pull" the chicks from the nest and place them in a brooder for hand-feeding until they are weaned. Most baby cockatiels can be weaned between the ages of 6 and 8 weeks by offering them millet, small bits of fruit, and vegetable and softened pellets.